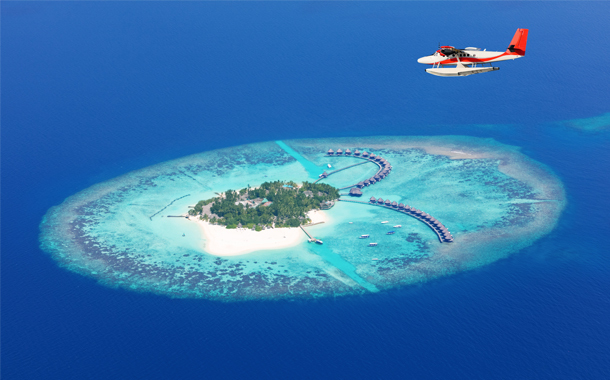 The Maldives is an archipelago of islands, situated in the Indian Ocean. With its unique geography and topography, this island nation is a favourite for the sun and sand lovers. 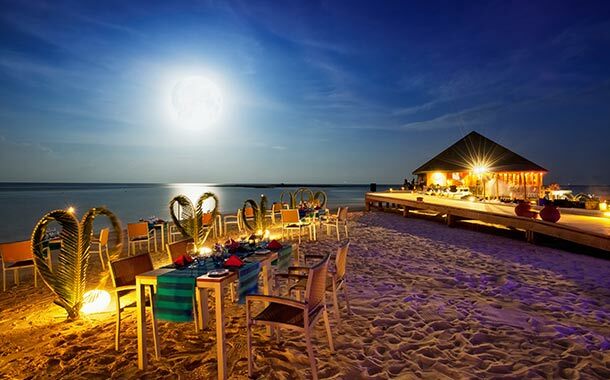 Consisting of 26 natural atolls, the island is famous for its pristine beaches, blue waters and lovely cuisine. Arrive at the Male airport and transfer to the hotel. After checking into the hotel, set out for a half day city tour. After an elaborate breakfast, visit the Hudhuranfushi resort for a full day tour. Enjoy the amenities and facilities of the resort. Food and drinks will be provided. Embark on a submarine tour for an encounter with the aquatic life, including coral reefs and marine life. The entire 45 minutes tour will definitely give you an unforgettable experience. Enjoy a wonderful buffet breakfast and check out from the hotel with exciting memories of the trip. "The most romantic holiday I have ever had. We had a great time. ~ Ameen Hassan." "Beautiful beaches, great food and lovely villas. Musafir arranged a fabulous holiday for us. ~ Catherine Diaz"
* Prices are quoted per person on a twin-sharing basis in a standard room with inclusions listed above. Infant and children rates are applicable. Additional options are available upon request. Prices are correct at the time of publication and are subject to change without notice depending on travel dates and availability. Easy monthly payment plans are available from select participating banks through Musafir Holidays retail outlets and are subject to approval. All photos and videos shown are illustrative. Actual services may differ. Terms apply. * In the event of a cancellation, 10% of the booking amount is non refundable. If the cancellation is received 45 - 30 days prior to departure, 25% of the total amount will be deducted. if the holiday is cancelled 30 - 15 days prior to departure, 40% of the total amount will be deducted. If the trip is cancelled 0 - 15 days prior to departure, 100% of the total amount will be deducted.